While trying to leave the office late one evening my phone rang at that magical hour where if you answer it the results could mean another hour of problem solving along with a late supper. Hesitating to answer it, but feeling guilty not to, I picked up the receiver and started hearing a story I could not believe was happening in my home state of Tennessee. The lady on the other end of the line was a friend of our family and she was distressed over a class assignment her daughter, along with the rest of the class, had been given to complete in the next few weeks. It seems the teacher at one of our more prominent Nashville middle schools is teaching her class about their duties as citizens of this great state and how they can make change through lobbying the Tennessee legislature on important issues. The assignment sounds like an excellent idea and starting with our children at the formative age to teach them to become involved in government is something the teacher should be appreciated for by all of us. However, the parent's concern with the teacher's assignment was pertaining to the issue she is asking her class to get involved with and not the purpose of the assignment at all. She is assigning these middle school kids the responsibility to lobby our legislators to change our Tennessee state seal. Having been the seal of this state since its early beginnings, the teacher seems to feel that it is time for a change. The seal bears the word agriculture in the upper part of the semicircle under images of a plow, a shock of wheat and a cotton plant. Below the word agriculture is a flatboat and the word commerce. Those two words since 1796, when our state gained its statehood, have been a part of our official state seal denoting their importance to the economy and what has made Tennessee what it is today. 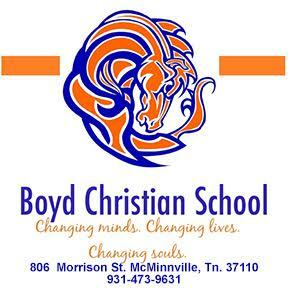 But, now a middle school teacher within our state capital has told her students that agriculture is no longer vital or important enough to Tennessee to hold a p lace on the seal and should be changed. I'm not sure with what, but just the idea has sent one of her students and her mother on their own lobbying campaign with the teacher to teach her about Tennessee agriculture. It often amazes me how individuals who eat nutritional meals everyday, wear clothing made of cotton, drive automobiles to work fueled by biofuels made from grain, work at desks made from forests, and have their lives saved by medications supplied from our farms, have the gall to say agriculture is no longer vital and has no importance in my life. And to say Tennessee has no agriculture makes me wonder if those individuals ever get outside of their city limits signs. Tennessee is number 8 in the nation with the most number of farms with over 78,300 farms in production. Over 10,900,000 acres were in farmland last year and if you count our forestland along with it over 75 percent of the land in Tennessee is used for agriculture. What does agriculture give back? My good friend Tennessee Commissioner of Agriculture Julius Johnson tells me that farm production alone accounts for more than $3 billion in farm receipts and total economic activity and forestry is $71 billion annually. These amounts are what keeps our rural communities across this state going, as well as keeping the rest of us supplied with safe and abundant food. I have been a part of agriculture all of my life, but most of all, agriculture has given you and me life. Within my office on the wall is an official seal of Tennessee that hangs in front of me as I work each day. I'm not a state employee and the seal is there because I'm a Tennessean who has pride in where I was born and grew up. 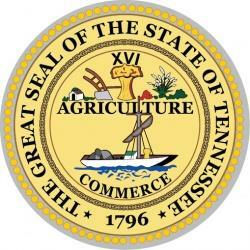 That word agriculture in large letters on that seal also holds an important heritage to me as a Tennessean. My forefathers crossed mountains and rivers to arrive in the fertile lands of this state in the latter 1700s to cultivate its fields and make this their home, as well as the future homes for those of us who followed. Agriculture made this state and continues to keep it prosperous today. And I admire the middle school student who wishes to make change as her teacher suggests, but realizes that agriculture is not where the change should be made. Hopefully, she along with others may teach the teacher about our state&r squo;s number one industry, along with explaining the dangers of becoming complacent with an industry that feeds, clothes, transports and shelters you. Wonder how many people in the United States and the State of Tennessee have to actually get hungry before they begin to realize exactly where their food comes from? Something is terribly wrong when grammer school children think that milk is made at Krogers. I think it should be part of the school curriculum to teach students where food comes from and the importance of productive agriculture in our society. Who is going to be working to feed people in this country when all our current farmers die off and few young people want to be labeled "a farmer"?